Why hello my favourite internet people! It's time for me to finally sit down and type away my feelings.... it's been a while and I've missed blogging regularly SO much and I thought i was about time I did a mini life update for you all..... in case you've been wondering where I am! What's new with me? What's gong down? I've been working... alot! I LOVE my new job so much but working online all day I struggle to then sit down and open my laptop once I'm home enjoying my free time - which makes me sad as I LOVE blogging so much but I do need time to switch off from it all. But I'm determined over the next couple of months to get A Yellow Brick Blog up and running like it used to be! So, lots of saving and counting down for me until March - I still can't believe I'm going to get to go back, a dream come true once more! INSTAGRAM - I have a brand new Instagram - @AlohaKirstie - and I would seriously appreciate it if you'd hit follow, I can't believe it's already hit over 400 followers in less than 4 days! Alot of people have been asking why I have made a new account.... well, my old one, for me, was just messy - which sounds SO stupid but I'd had it since 2009 or 2010 I had over 4000 uploads. I just needed a fresh fun start! I'm still on that health kick - I'm obsessed with the gym classes I'm going to and I am trying seriously hard with my diet (although I have slipped a few times recently)! I did just complete #ChocolateFreeMay though - wahoooo! I'm excited to keep on challenging myself, setting new goals monthly and seeing improvements! What have you all been upto? What's new? Let me know in the comments below! I love 'a yellow brick blog' - it's such a great name. 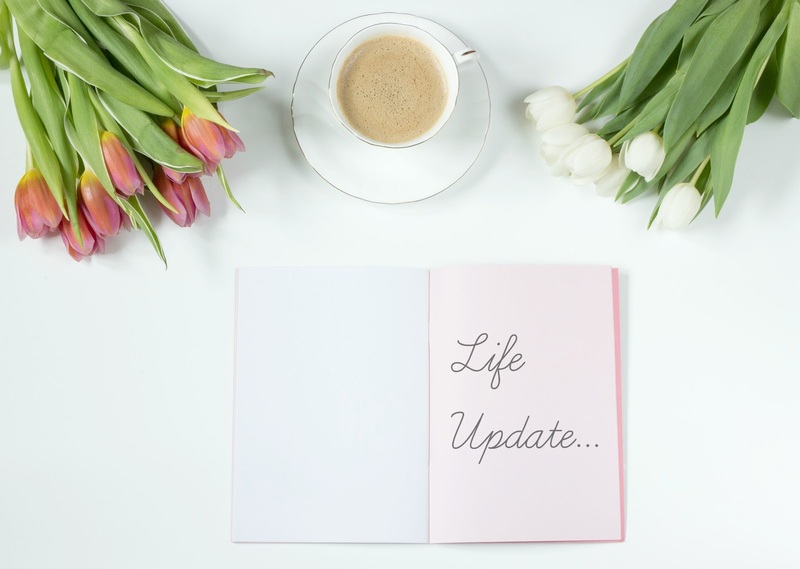 I hope you find time in June to do a little more blogging, but sometimes it's necessary to take that little step back if life is being totally hectic! I love more personal posts like these! Sounds like you have a fun summer coming up! I have no plans for Summer at all, haha! Disney sounds fab! have fun planning the trip! Hi, I took a couple of breaks due to work so I know how that feels - glad you're back! I'm with Cloe on the liking personal posts like these! I'm nosey, I like reading people's thoughts haha. Sounds like you have a really fun summer to look forward to. I get what you mean about instagram - I cringe SO much at my old photos! I'm so glad that you're loving your new job and are so happy right now my lovely! Happy 3rd Birthday A Yellow Brick Blog!! !